Tim Wellens has won the Eneco Tour. He was no longer threatened as the overall leader. Guillaume Van Keirsbulck claimed the concluding stage with a solo win. Ahead of the final stage, only one jersey had been secured already: Putting a possible crash aside, Kenneth Vanbilsen claimed the black Primus jersey for combativity. The rider from team TopsporTopsport-Vlaanderen lead Laurens De Vreese by 33 points. Between Riemst and Sittard-Geleen, there were only two Primus Checkpoint Sprints and those would not suffice to assume Vanbilsen's jersey. The overall ranking, however, hadn't settled just yet. Tim Wellens started in the final stage wearing the Eneco white jersey, but the stage's boni second could play a major role. The Lotto points ranking wasn't decided either: the difference between red jersey Tom Dumoulin and Lars Boom was only one point. From the start in Riemst several riders tried to break away from the pack, but they could not due to the strong winds. Until twenty riders managed to break away. With Julien Vermote, Guillaume Van Keirsbulck and Matteo Trentin, Omega Pharma-Quick-Step was represented the most. 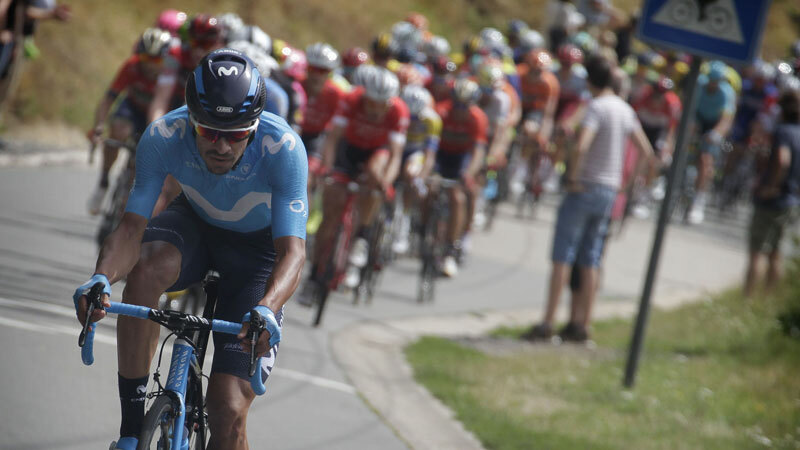 Like team BMC (Silvan Dillier) several riders had a teammate in the break, Cannondale (Kristjan Koren and Moreno Moser), Trek (Giacomo Nizzolo and Jesse Sergent) and Movistar (Pablo Lastras and Enrique Sanz). 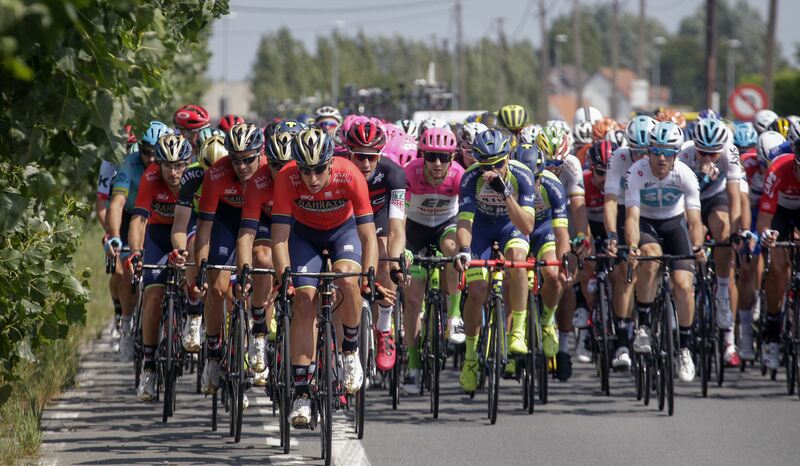 Tom Leezer, Dylan van Baarle, Evgeny Petrov, Michael Hepburn, Gatis Smukulis, Maximiliano Richeze, Gediminas Bagdonas, Yves Lampaert and Laurens De Vreese were the only representatives of their respective teams. De Vreese had been the most combative rider in the last two editions, but he would not win that jersey this year. The lead of the front group grew rapidly. Lotto-Belisol was happy to see this happen. 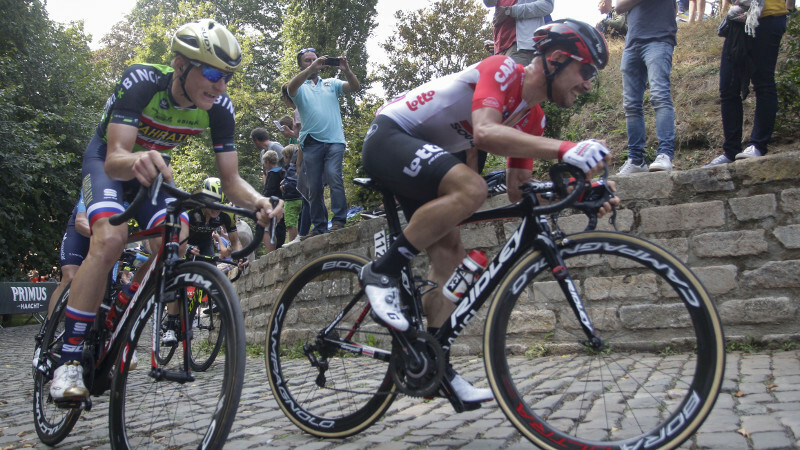 Boom and Dumoulin could no longer gain time on Wellens. Their teams worked hard though to keep a lid on the time difference. The breakaway never got more than 5:20. With 35km left, Van Keirsbulck broke away from the leading group. However, when Belkin subsequently started upping the pace in the peloton, it was not to the liking of Niki Terpstra. The winner of Paris-Roubaix went shoulder-to-shoulder with Maarten Wynants. However, no one managed to bridge the gap with a strong Van Keirsbulck. The Omega Pharma-Quick-Step time trialist still retained a comfortable lead on the peloton. And claimed a solo win. 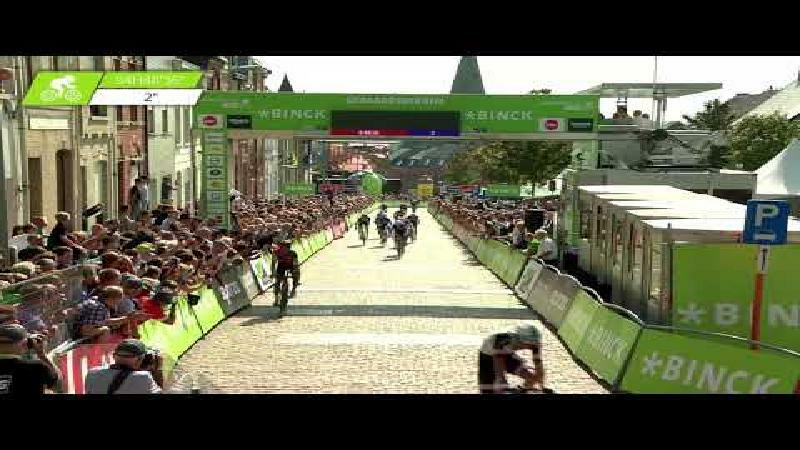 Trentin completed the OPQS party by taking second place at 46 seconds, ahead of Lampaert. The final overall victory of Wellens had never been in danger. He is the first Belgian rider to win the Eneco Tour. Lars Boom is second, Tom Dumoulin third. 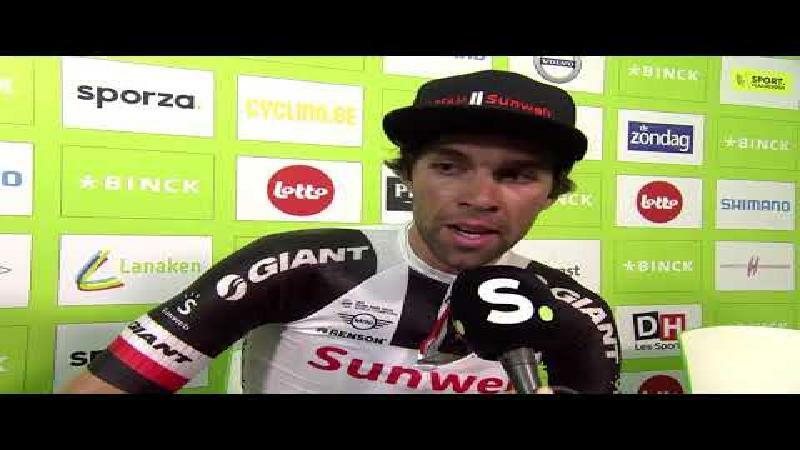 The black jersey is for Kenneth Vanbilsen, Dumoulin takes the points ranking.